Wisconsin Pet Care is the highest-awarded and rated Dog Walking and Pet Sitting service for the neighborhood of Bayview, Milwaukee WI. Bayview is a wonderful place to raise a family, and have a dog. Our dog walkers in Bayview neighborhood of Milwaukee can attest to the wonderful sights, sounds and smells of the area, and most of these establishments are pet friendly, with water bowls out in front of just about every retail store. Our amazing team of dog walkers and pet sitters in Bayview neighborhood of Milwaukee have years of experience as well as the very best training to handle any situation. Why Wisconsin Pet Care? Because we will adore your pets like our own. Our professional team of dog walkers and pet sitters are bonded, insured, pet first aid and CPR certified, and have been thoroughly background checked. We know how to spot issues when they happen. Here is an example. 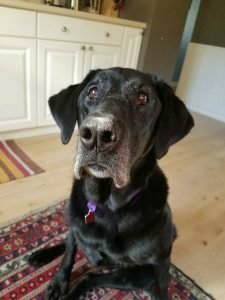 “Yesterday I knew something was not right with her – she refused to walk and refused treats (very out of her character), she had thrown up in the house, was drooling everywhere, and having a hard time breathing. I informed the owners right away and waited with her until the owners came home from work. Turns out she had pneumonia. She is on the road to recovery now.” This was from one of our Bayview sitters. Large fenced in park with lots of tennis balls and benches. Only one area for all dog sizes. I’ve been told the owner of this restaurant/bar let the dogs roam free like if you were in your backyard. Also you can bring your own meat and use their grills on the patio! Community Bark Dog Wash & Groom – 2430 S Kinnickinnic Ave. Great way to bond with your dog. DIY options or opt for the professionals to handle dirty four legged friend. Ready to Book your Dog Walking and Pet Sitting in Bayview WI 53207? 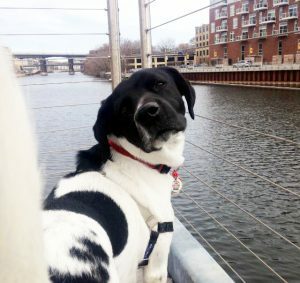 We hope everyone enjoys how the walks went this week, we write this short journal on dog walking in Milwaukee neighborhood of Bayview. With winter temperatures and snow in our area it is fun to bundle up and enjoy a brisk walk with the dogs. This week we cover the dog walking with a dachshund in the Bayview area of Milwaukee. Cute little legs with paws pads moving us confidently along the walking, we motored through the light snow covering the sidewalk. We did a see a few other people out enjoying the day. We had a bit of sunshine and clouds to warm up the trees and small patches of ground exposed through the snow. With birds tweeting just enough to add to the sights and sounds we reduced our stress and drank in the midday Winter sun. With temperatures still cold and winter coats needed for both myself and the dachshund we brushed the light snow off with ease. Soon it will be Spring and even new smells will await our time when walking dogs in Milwaukee. We both felt so much better after a little brisk exercise for both myself and the pup. When you can look into a dog’s eye and see the joy of getting out and stretching the legs it is a sure thing that this was another good case of dog walking in Milwaukee as we care for pets in the Bayview area. The temperatures are getting nice and the Spring in the Bayview / Milwaukee area is making for comfortable walks.